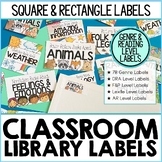 Need labels for you classroom library? Or, maybe you are just ready for a change! Print out and laminate. Then attach to your baskets! I made 2 cards for level B because I have so many of that level that I needed 2 baskets. Happy Reading! Simple, clear alphabet letters to label your guided reading book tubs. Black and white printer friendly design. These letters could be used for anything! Just print and go! Word walls, alphabetized library, ABC sorting, cute bunting banner...anything! Use this product to level you books in you classroom! 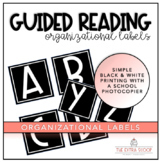 This product includes: a color coordinated reading level labels (B-Z) for both the spine of the book and the cover and library return editable labels. 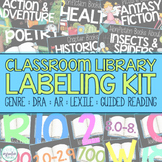 These labels will help organize your classroom library according to Accelerated Reader book level. They are for levels 0.1-6.9. 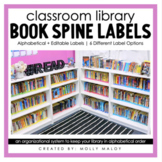 These book labels will help you to label your classroom library. 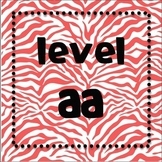 Reading levels aa-Z. The labels have a zebra print theme with a different color zebra print for each reading level. The size of the labels are 3 1/2in x 3 1/2in. Simple, editable, book labels for Guided Reading Level. Instructions: 1. Print on regular paper 2. Cut on lines 3. lay clear packing tape over-top of label 4. Affix to book on spine to wrap around front. 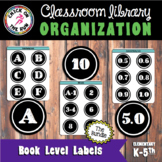 This product includes book level labels (A through Z) that can be printed for a shabby, rustic, or farmhouse style classroom. There are also labels that say "decodable" for decodable readers. Each label is about 4 x 2 inches. Color Coded Book levels for Avery 8160 Labels. 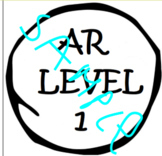 Includes Book owner, AR Level, Points and Quiz Number. A blank editable template is left if additional colors are needed. These labels are for book bins in the classroom library. They start with level three and end with level eight. There is also a few different genres as well.